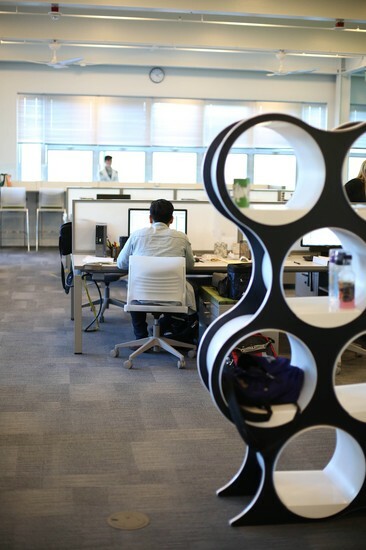 What is the Activities & Recreation Center? The Fitness Center is open until 1 hour before the building closes each day. The ARC will be closed January 18 and February 15 for the holiday observances. The second level of the ARC, or the Overlook, is a large space students can go to hang out, study, relax or enjoy the wonderful view of the wetlands. Soft seating as well as tables and chairs are available for students to use throughout the day and evening. The Overlook also serves as a large space for programming and events held by student organizations from both Cascadia and UWB. 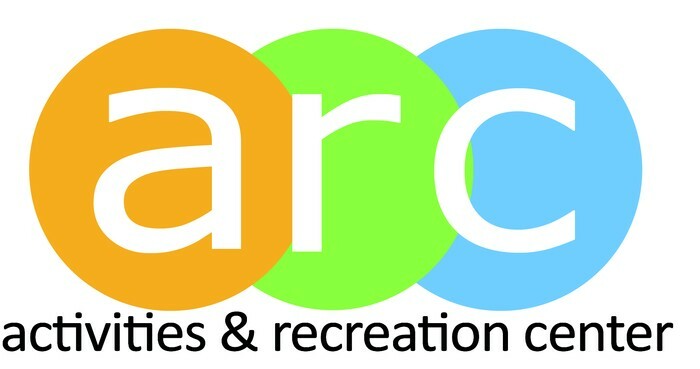 The ARC provides over 100 video and board games for students from both campuses to check out and use in the building. The Gaming Alcove on the first floor is an excellent place to challenge your friends to some games. 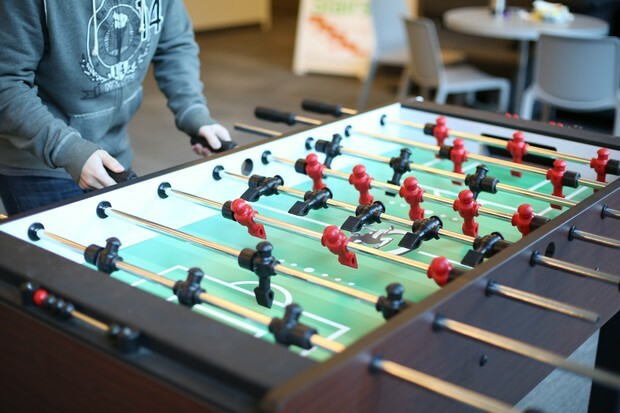 A Foosball table located on the first floor is also available to. All games are available for check out at the First Floor Information Desk. You can find a list of available games here. 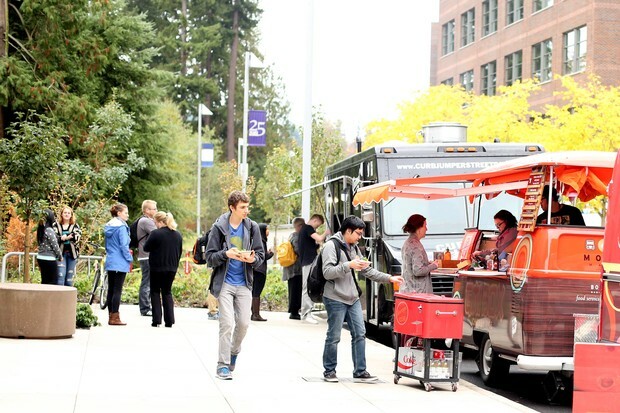 The ARC has the capacity to host two food trucks at a time. The trucks are stationed outside of the ARC on Campus Way. The food truck schedule can be found here. Vending machines are located on the Lower Level of the ARC. Snacks, fresh vending options (salads, sandwiches and more) are replenished throughout the week, and drinks can be purchased with cash or credit card. There are also two microwaves for students to use in the building, one on the 2nd floor, and one on the lower level by the vending machines. The Fitness Center is located on the Lower Level. 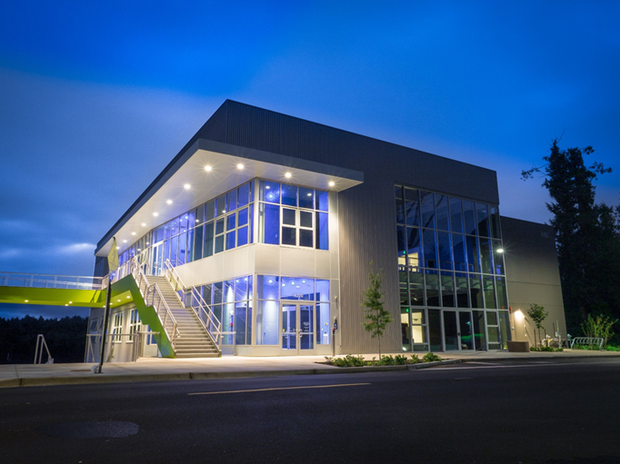 The new ARC Fitness Center features state-of-the-art equipment and machines for use by currently enrolled University of Washington Bothell and Cascadia students. Faculty and staff from both institutions can use the Fitness Center with the purchase of a Fitness Pass. Group fitness classes hosted by certified instructors are also provided and are located in the ARC Studio. You can find the group fitness schedule here. The ARC Studio also has a program called Wellbeats in which students can use on-demand fitness classes provided in a video format. 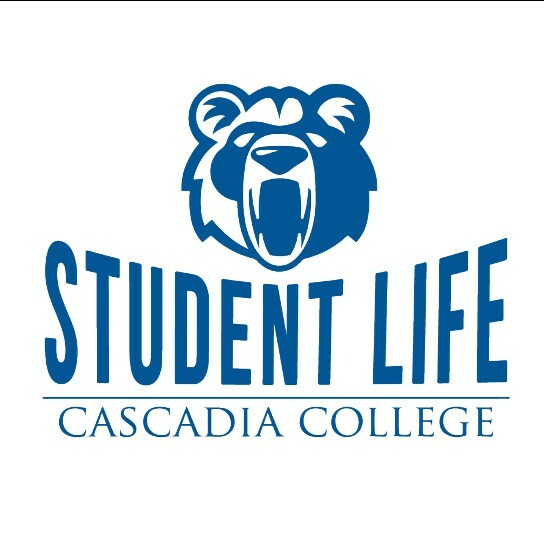 Any questions regarded the Fitness Center can be directed to their front desk: (425)-352-3580.